As 2017 draws to a close, it’s time to make checklists of all the things we need to do before welcoming in 2018. Celebrations with friends and family, year-end work obligations, and more. Even though we’re all busy at this time of the year, adding a trip to the dentist may be in your best interest. At the end of the year, dental insurance coverage that goes unused will likely be lost as the plan rolls over into a new benefit year. Keep reading to find out how to avoid losing the investment you’ve already made in your oral health. The easiest way to maximize your 2017 dental insurance benefits is to schedule your preventive dental checkup. If you haven’t visited the dentist twice this year, call your trusted dental office to schedule an office visit. Most insurance providers cover preventive care at 80 to 100%, so the best way to maximize your insurance investment is to keep up with regular preventive maintenance. If you’re in need of restorative dentistry services, your benefit plan will likely cover between 50 and 80% of the cost of treatment. However, most dental benefit plans also have maximum annual coverage, so if you’re nearing the maximum annual coverage, talk to your dentist about completing restorative care between this benefit year and the 2018 coverage year. By splitting restorative treatment into two or more appointments over the course of the two plan years, you can make the most of your annual maximums and get the care you need. Deductibles are the amount of out of pocket cost you need to pay before your dental insurance will provide funding for more advanced treatments. If you’ve met your 2017 deductible and need more treatment, now is the time to get the care you need. After your deductible is met, your dental insurance plan should cover the greatest portion of treatment until your plan maximum is reached. If you have a flexible spending account, health savings account, or other account that allows you to choose how you use your health savings, you may need to spend those funds before the end of the year. If you find yourself with some extra FSA money this year, consider cosmetic dentistry. Teeth whitening, porcelain veneers, and other cosmetic treatments aren’t typically covered by traditional insurance plans, so using your FSA funds allows you to improve your smile and use these funds before the end of the year. At Aesthetic & Family Dentistry of Washington, we are happy to process and file dental insurance claims for most major benefit providers. Dr. Yelena Obholz and her dedicated Washington DC dental team have years of experience maximizing insurance claims to ensure our patients receive the benefits they’ve invested in. 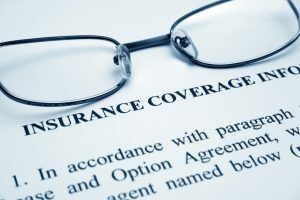 We process and file claims for most PPO insurance plans, and we are in-network providers for many of the popular local benefit plans including Aetna, BlueCross BlueShield, Delta, MetLife, Humana Dental, and Cigna. If you want to find out more about utilizing your dental insurance benefits at Aesthetic & Family Dentistry of Washington or schedule your second dental exam of 2017, contact our team today.